Today is the birthday of Carlos Lyra, our mentor and a member of the BMF’s Advisory Board. 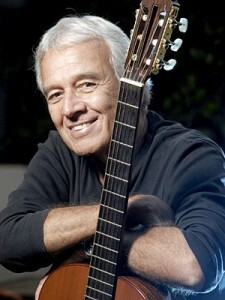 Carlos Lyra is a Brazilian singer and composer of numerous bossa nova and Música popular brasileira classics. He was born on May 11, 1939. He and Antonio Carlos Jobim, were the first two music composers, together with lyricists Vinicius de Moraes and Ronaldo Boscoli, to be recorded by João Gilberto on his first LP entitled Chega de Saudade (1959), which was called the first generation of Bossa Nova. His first song to be recorded was “Menina” (1954), issued as a single by Sylvia Telles in 1955, with “Foi a noite” by Antonio Carlos Jobim on the other side of the record. The writers first met because of this single, when Jobim called Lyra “the other side of the record”. At that time, both were writing their own music & lyrics creating a colloquial and completely new style. They wrote about their own experiences and feelings. 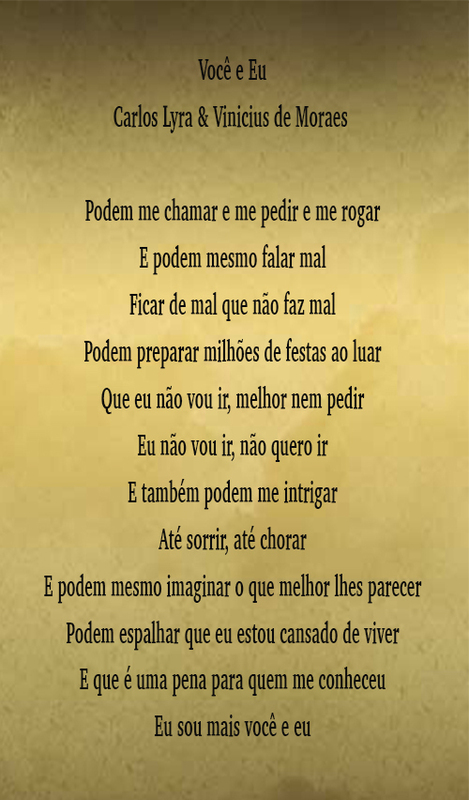 A completely different lyrical style from most songs written that time.His first compositions (music &lyrics), from 1954 to 1956 included: “Quando chegares”; “Menina”;” Barquinho de Papel”; “Ciúme”; “Criticando” and “Maria Ninguém”. In 1957 he started to compose together with the lyricist Ronaldo Bôscoli, songs such as “Lobo bobo”, “Saudade fez um samba” and” Se é tarde me perdoa”. In 1958 wrote “Aruanda” and “Quem quiser encontrar o amor”, with Geraldo Vandré. In 1960 he started to compose together with Vinicius de Moraes, songs as “Você e eu”; “Coisa mais linda”, Sabe você?”, “Samba do Carioca”; “Maria Moita” and many others. They wrote together a musical play, in 1962, called “Pobre Menina Rica” (Poor little rich girl blue). In 1961 he was one of the five founders of CPC (Center of Popular Culture) where he started to write songs for cinema and theater. 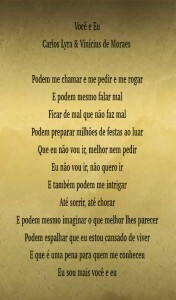 He also wrote the song “Influência do Jazz”, one of the songs he sang at the Bossa Nova Concert at Carnegie Hall, in 1962. He continues to compose, record, and perform today. Lyra’s most famous compositions include “Coisa Mais Linda”, “Você e Eu”, “Maria Ninguém” (once claimed by Jacqueline Kennedy to be her favorite song), and “Influência do Jazz”. When Tom Jobim affirms that Carlos Lyra is the great “connoisseur of the paths,” the master does not exaggerate.An exceptional melodist, Lyra was born historically together with bossa nova. His inspired melodies have resisted over the years, proving that the true path is artistic independence. Lyra and bossa nova are enmeshed, but the author of Primavera has always maintained his musical identity. The first song by Lyra to be recorded on an LP (Criticando, recorded in 1956 by the group Os Cariocas) is a forerunner of the classic Influência do jazz and already showed that the author would maintain his autonomy in relationship to the old bossa, although history would place him in the role of one of the natural leaders of the bossa nova movement (if one can talk about a “movement”). Lyra’s identity is sharply and immediately revealed in his first record, Carlos Lyra, Bossa Nova, released in 1959. And a certain Maria Ninguém was already imposing her presence next to classics such as Quando chegares, Menina and Rapaz de bem (a composition by Johnny Alf which Lyra launched). Even at this early date, Lyra’s musical universe was no longer restricted to the delicious salt, sun and “Sul” carioca (the sophisticated southern district of Rio de Janeiro). Although this would only become apparent in the second and divergent phase of the – well, why not – movement.